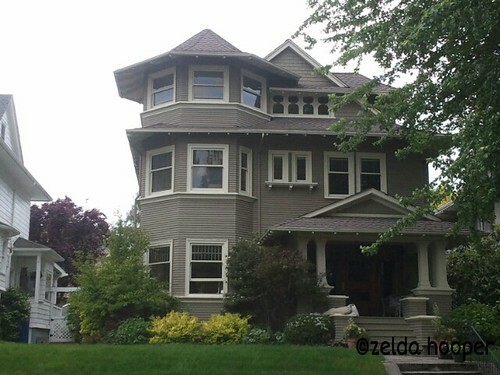 beautiful home in Seattle, a photo by zelda~c on Flickr. This home has so many unique features! I love the keyhole shaped windows at the top and the interesting angles of the rof.